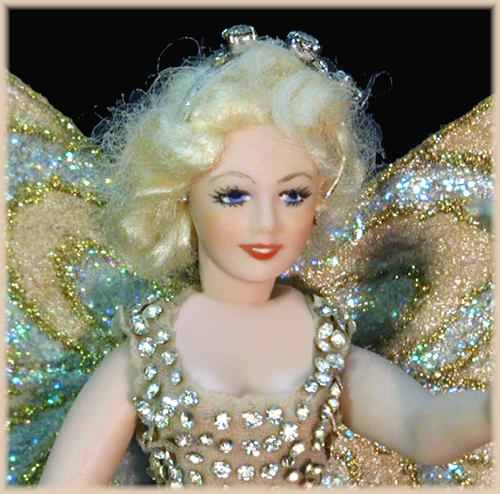 To paraphrase Marilyn Monroe, "rhinestones are a Fairy's best friend!" Fairy Princess Mary Lynn is attired in an infamous skin-tight transparent rhinestone gown. 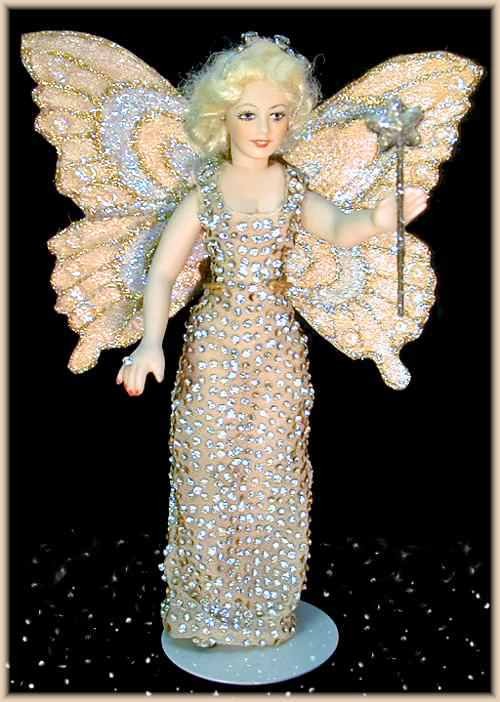 The hundreds of tiny rhinestones are hand-glued to her flesh-colored gown. 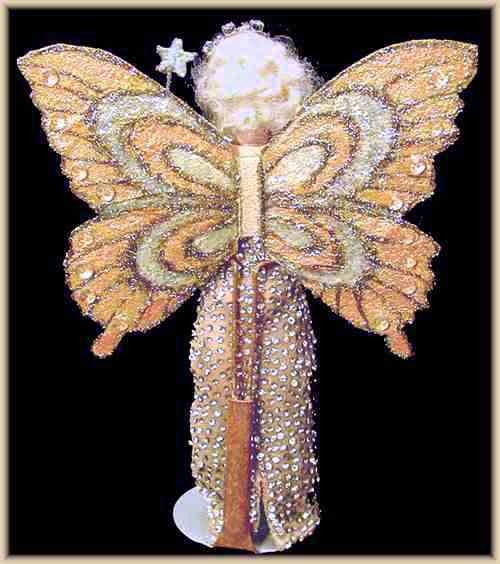 Her hand-made, hand-painted wings are color coordinated to go with her lovely gown. And of course she wears nothing under the gown! Mary Lynn is a vision of loveliness from her platinum blonde hair down to her silver slippers. She wears a small tiara and carries her glittery wand. You can almost hear her breathlessly sing, "Happy Birthday, Mr. Fairy Prince!" Fairy Princess Mary Lynn is approx. 6" tall and has a wingspan of 4.5". Like all JoAnnJ creations, she is a one-of-a-kind work of art and is signed by the artist. She comes with a signed certificate of authenticity.